All of us know that extra calories in our body turns into fat. But do we have the ability to control this conversion. The answer to this question depends your attitude towards your body. Extra Calories to fat conversion is an automatic process. We can't interfere it directly just by making a wish as it an involuntary process. But still we have the ability to control it by some other means. Here we will explain how to do it. But it needs dedication and little time that you should devote for your precious body. Here it is. Instead of having 3 large meals, try to have 6 small meals. It will make your glycogen stores filled 6 times a day, instead of 3 times. So small amount of calories will be left in each shift to be converted to fat. Read the article how extra calories turn into fat to know more. Try to do small small exercises just before you have your meal. It will reduce the content of glycogen stores in your muscles and most of the sugar/calories will go into glycogen stores, instead of getting converted into fat. Maintain a schedule of 3 hours gap between all of your 6 meals. If you feel hungry in between that time then just drink some water of green tea to settle your stomach. If you control you hunger for just 6 days, then you will find that your stomach will stop bothering you unnecessarily. If you have a protein drink at the end of a workout session, then it as one of your 6 meals. Never forget the calorie math and make a diet chart to keep it in level. 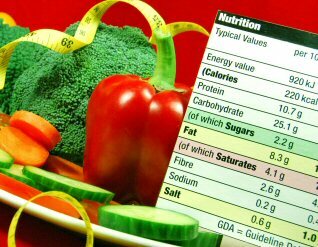 If your a consuming extra calories than required then at last it will turn into fat irrespective of what you do to control it. Here is the Calorie Calculator to help you. Never forget to make the correct ratio of fat, protein and carbohydrate in your diet as told by Calorie Calculator. Have more vegetables and fruits compared to other food items to get proper vitamins and minerals. Drink lots of water. Water removes harmful toxins in our body through urine which purifies our body. If you are obese and follow the above steps then you will start reducing your weight. But calorie calculation is most important thing for you to do that.